The ASEAN Commission on the Promotion and Protection of the Rights of Women and Children (ACWC) was inaugurated on 7 April 2010 in Ha Noi, Viet Nam, on the occasion of the 16th ASEAN Summit. 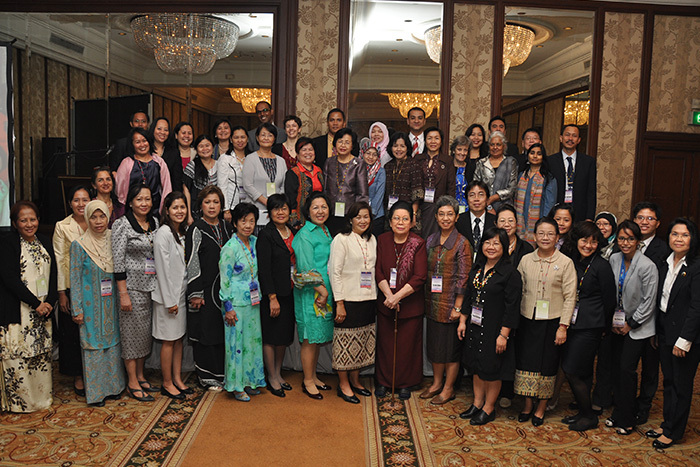 The ACWC comprises twenty Representatives of ASEAN Member States for womens rights and childrens rights. Each ACWC Representative serves a term of three years and may be re-appointed for a second term. The government may decide at any time to replace its ACWC Representative without notice or explanation. The 1st official meeting of the ACWC was conducted in February 2011. Held twice a year, in 2016 the ACWC will convene their 13th meeting to be attended by the Representatives. Reporting to the ASEAN Ministerial Meeting on Social Welfare and Development (AMMSWD), the ACWCs mandates and functions, as guided by its Terms of Reference, include the development of policies, programmes, and innovative strategies to promote and protect the rights of women and children to complement the building of the ASEAN Community. The ACWC has convened different regional workshops, seminars, training sessions and consultative meetings that provided platforms for government officials, civil society organisations, professionals and other stakeholders to exchange views, share experiences and build commitments and a common understanding on various gender issues. The ACWC meets at least twice a year and can hold additional meetings if required. ACWCs TOR defines ACWCs purpose, mandate and functions. ACWCs primary purpose is to promote and protect the human rights and fundamental freedoms of women and children in ASEAN. ACWC is tasked with upholding rights contained in the Convention on the Elimination of Violence Against Women (CEDAW) and the Convention on the Rights of the Child (CRC), which all ten ASEAN Member States have ratified. Each Member State appoints two representatives to the ACWC, one representative of womens rights and one representative of childrens rights. The ACWC TOR requires that representatives be appointed through a transparent, open and participatory selection process. When appointing their representatives, the ASEAN Member States must take into account; the candidates competence in women and/or child rights, their integrity and gender equality within the Commission.